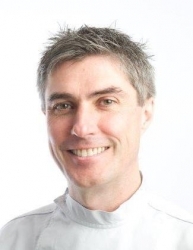 Duncan runs an expanding private referral clinic founded on cosmetic and implant dentistry. He has successfully placed and restored over 1,000 implants in the last 16 years. In 2010 he was awarded the prestigious Diploma in Implant Dentistry at the RCS in London. Since qualifying from Birmingham University in 1984, Duncan has continued to gather both knowledge and skills from recognised centres of excellence across the world. He is an active member of both the Association of Dental Implantology and the British Society of Occlusal Studies. Patients just beginning to think about dental implant treatment may find it helpful to attend a complimentary preliminary consultation with clinical manager Karen, an experienced dental nurse. The discussion will help you consider the options for treating your dental problems and decide whether to proceed to a clinical consultation for implants. The preliminary consultation is free of charge for visitors enquiring through this website. Please use the button in the right hand column to request an appointment. Once you have decided in principle that you want implant treatment, the next step is a clinical consultation with Dr Ralston. This includes a comprehensive oral examination, and results in production of a fully-costed individual plan for your treatment. The fee for the clinical assessment appointment and provision of your personal treatment plan is £95, including an OPG (a large X-ray). Close liaison with referring dentists encouraged! Referral forms, Practice brochure, customised treatment plans / consent forms as standard. Dentists:- Open house at “The Clinic”, watch us work – you learn. Established, fully private dental practice, with a specialist interest in implant and restorative care. Principal Duncan Ralston regularly attends national and international conferences and meetings, keeping himself up to date with current methodology and techniques.